Maiduguri. Northern Nigeria. 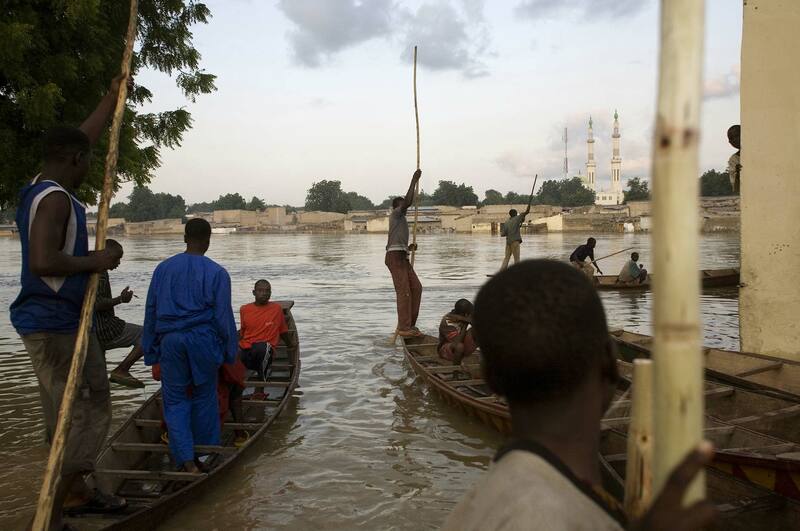 September 2007 Ferries that operate in Maiduguri ferrying people from both sides of the river. The river has flooded once again, a sign of climate change and environmental damage.